My son says to me “Dad I think your next blog post should be Change Your Mind”. I asked why and he responded “because it really works”. This brief moment, brought a smile to my soul. I realize that one of the principles I’ve been teaching him and his sister had finally “clicked”. Every morning during the drive to school, I have motivational chats with my kids. I am constantly telling them about the power they have by simply changing their mind. Changing your mind grants you freedom to explore endless possibilities. You have access to so much in a single thought. Changing your mind is the catalyst to change. My son decided to make a change I suggested. I recommended that he wake up 30 minutes earlier to get his daily reading done. He is required to read 20 minutes a day [for school] which my wife changed to 30 minutes. His instant response to my proposal was “NO WAY”. Then, of his own will, one morning he tried it. 3 months later, it is now a part of his daily regimen. As a direct result of this one change, my son achieves a goal he has set for himself daily, he has advanced to a higher reading level in school, and best of all, he gained a half hour of “do whatever I want to do” time. Change requires action, discipline, consistency and execution. Any change you undertake will not be as simple as the words you are reading. However if you are committed to change, the results you seek are closer than you think. Don’t miss opportunities in your life because you refuse to change. 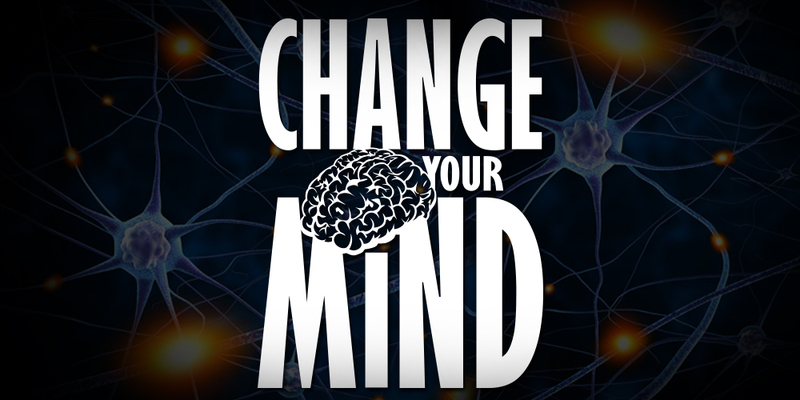 Change your mind…it’s all you control.